For inexperienced rafters, it is best to consider booking a white water rafting excursion with an experienced outfitter that specializes in rafting tours, such as Holiday River. It is extremely dangerous to white water raft without expert supervision and advice. Rafting companies’ offer an array of safety equipment, such as oar rafts, paddle rafts, inflatable kayaks and even camping gear. They will also supply helmets and life jackets for maximum safety protection. 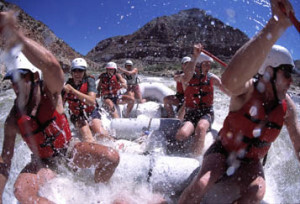 Rafting attire is also an important factor to consider when planning a rafting trip. Clothing should be warm and comfortable. Lightweight clothing is recommended, especially in case rafters fall in the water. Non-cotton tops and shorts are perfectly acceptable, but this type of attire depends upon the water’s temperatures. Water absorbent fabrics, such as cotton, should be avoided, as they will absorb excess water, making it more difficult for rafters to get back in their vessels. Wet suits and swimsuits are also recommended. 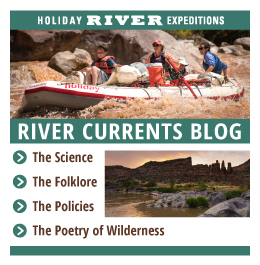 If booking an adventure with a rafting outfitter, vacationers should inquire about day and nighttime temperatures, as many areas deep in the mountains have extreme temperature variations. When a rafter falls into the water, it’s important that he/she does not panic, but remains calm. It’s most important to protect the head, avoiding any dangerous boulders or rocks in the water. This means that a rafter must position his/her body appropriately when falling overboard. The head should face against the current. Feet should be placed slightly apart, allowing them to push against dangerous obstacles. Feet should face towards the sky while floating. The aforementioned three positions will help ensure that rafters’ heads remain protected while overboard. For rafters to return to the boat, it’s best to consider the following advice. Using one hand, he/she should hold onto the raft’s edge. Using the legs, hook one leg up to the edge of the raft. This should allow a rafter to pull him/herself up to return to the vessel. Rafting is a physical, mental and emotional adventure. It’s important to keep the body property fueled to help avoid exhaustion, excessive sweating and heat stroke. Fulfilling a white water rafting adventure is a rewarding and exhilarating experience.